I'm finding that little black pants are just as versatile as the little black dress. Yes, this is a lot of black and I normally don't don so much of it at once. 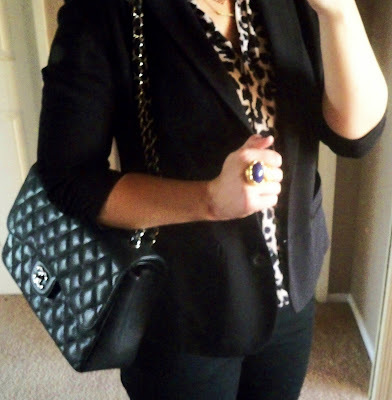 But with some leopard print peeking out from my blazer and a tiny hint of lapis from my ring, I felt that these details were enough for a night out on the town. 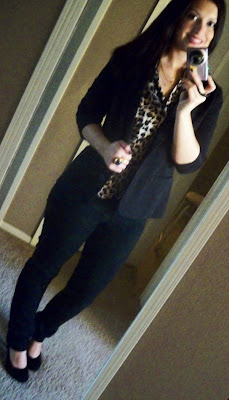 Love the leopard blouse on you. I'm looking forward to wearing blazers. The temps cooled down to the 70s this past weekend and today in Austin! love this look! 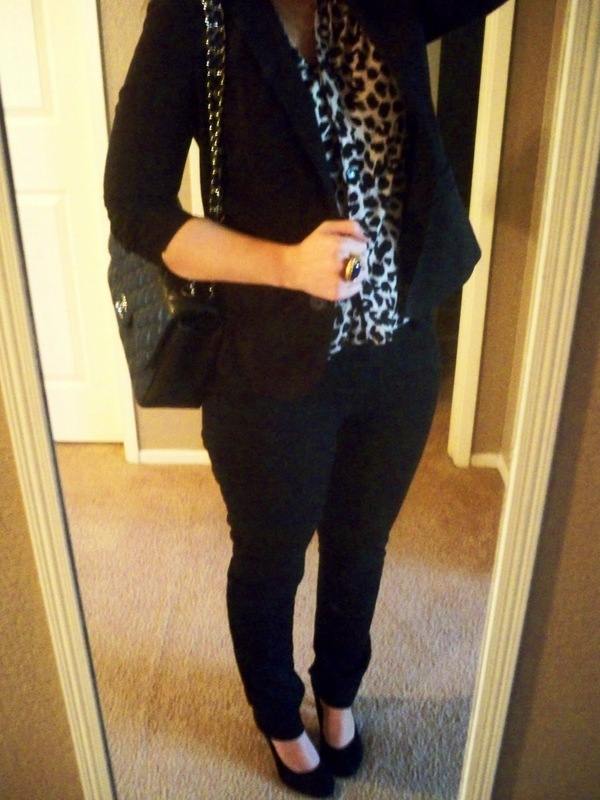 I have recently fallen in love with banana republic pants - just got their jeggings this past weekend! and I die over your chanel bag! ah love it! Little black anything is versatile. You look gorgeous. You look amazing as usual! I love those black pants on you, I usually have good luck with BR pants, I love their denim actually. Love the leopard and of course, the Chanel!!!! The blouse is absolutely beautiful!! great outfit and you look stunning! I was wondering if you wanted to follow each other! Thank you girls, I think the leopard is just as neutral as the rest of the outfit. I'll be wearing this type of look a lot the next few months. I know it! I've been looking for the perfect little black pants/ jeans forever. A lot of them look to 80s (in a bad way) but these are perfect on you! Skippysays: I agree that many things in fashion now are very 80's! Black jeans can be tricky, but I think if they are super dark then they look great!